Posted by calkins December 16, 2008 in the Group General Discussion . huǒshān búzhù de pènchū róngyán. The volcano kept spurting out lava. róngyán lěngquè hòu xíngchéng yánshícéng. 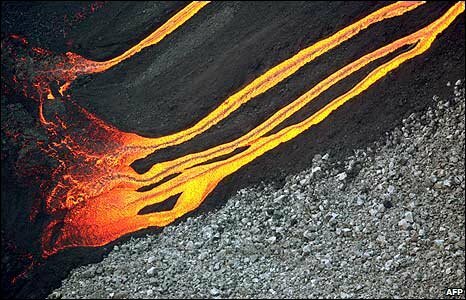 After the lava cools, it forms into rock.